ADVENTURES ON THE YADKIN RIVER #5: THE GREAT BEND, INHABITED BEFORE THE PYRAMIDS WERE BUILT! 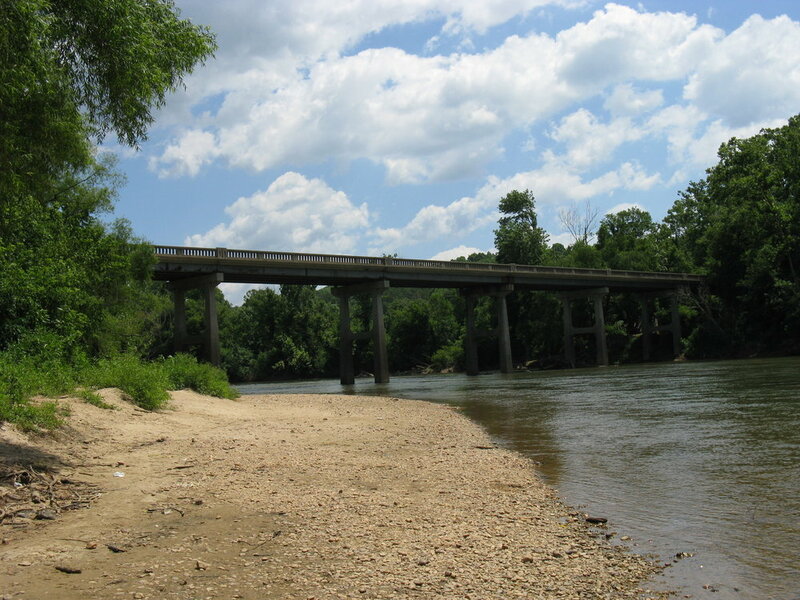 Pushing off from the east end of Fishing Island, we enter the Great Bend area of the Yadkin River. This stretch is significant, both geographically and historically. Here is where the Yadkin changes course from west to east and begins flowing north to south. It is where the town of East Bend derives its name. This area is rich in Native American history. Along the banks of the Great Bend there were at one time numerous Native American settlements. Archaeologists have conducted many excavations in this region resulting in some amazing discoveries. There are also some large, magnificent large rocks jetting out from the river bed. These make for a great place to pull over and get out, pause and take a dip in the river. Sitting on the rocks in the warm summer sun, I often try to imagine what this must have been like 500 years ago. One of these archaeological sites is close to where the Little Yadkin River empties into the Yadkin. It’s called the Bottoms Shelter site and consisted of a 1200 foot granite ledge in middle of a hill, about 40 feet above the Yakin’s flood plain. Its deep cavity provided good shelter from the elements. In 1972 a team from Wake Forest University dug through 11 feet of mud and debris to discovered evidence of human occupation starting around 6,600 B.C. or roughly 8,000 years ago. This means this area was inhabited nearly 3,500 years before the great pyramids were built, before Stonehenge and before King Tut. It is believed this shelter served for several millennia as a seasonal camp for small roving bands of nomadic people, perhaps small families or hunting parties. In the mid-1990s the rock shelter collapsed and is no longer visible. About a mile downriver from the Bottoms Shelter on the east bank is the Donnaha Site. This well documented site provided a wealth of information on the early residents along the Yadkin. It represents a village, inhabited throughout the yearly cycle, and was occupied mainly between 1000 and 1500 A.D., although there are signs of seasonal occupation as early as 0 A.D. Here archaeologists found evidence of structures, shell beads, ceramics, pipes, seeds, bone and antler tools, arrow heads, burial sites and human remains. There were no signs of palisades or protective walls around the settlements. These were peaceful people, mostly farmers and hunters. These are just two of more than a hundred documented sites in the Great Bend area of the Yadkin. These settlements were not large and consisted of anywhere from 20 to 50 dwellers. Most likely they were extended families. However, the Native American settlements were gone from the Yadkin Valley by the time the Europeans arrived in the early 1700’s. It is not clear right now the connection between the people that lived in the Yadkin valley and historic or modern Native American groups. There is conflicting information, but many believe they were related to the Saponi tribe. Most archaeologists believe they were Siouan speakers. These early settlers of North Carolina, however, did leave a tremendous vestige for those traveling down this section of the river. There remains five impressive stone fish weirs (traps) built on the river’s bed, and spanning the banks. I will discuss them in my next blog entry. More later.